I have learned not to forsake God given gifts while preparing for a marathon. We have 155 days to go and today I want to encourage you and I to focus on what we have instead of what we lack. Here's a little bit of my story. 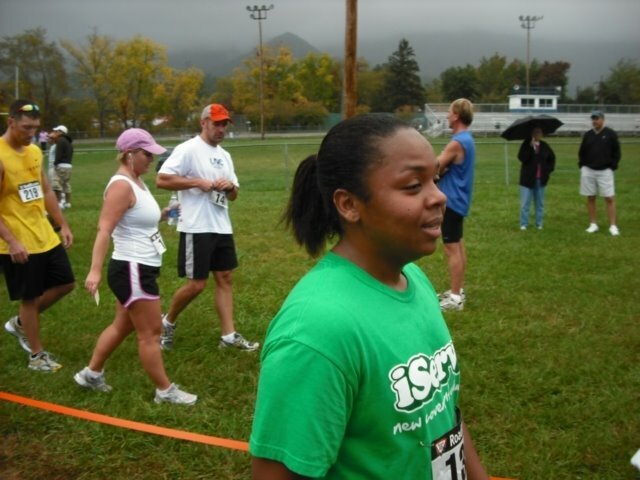 I started running in 2008 after years of walking. I found out I was expecting shortly after I signed up for my first 5K. I didn't have the speed and experience my peers had. I didn't have the proper attire (I wore cotton for years before I learned there were better material out there) or the proper shoes. What I did have was Persistence to finish what I started. My first 5K. I was 10 weeks pregnant and 28 years young. My first 42K. 3 kids and 34 years young. 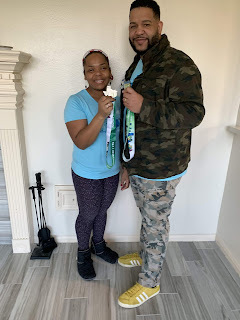 6 years and 3 kids later, I ran my first Chevron Houston Marathon. I added 37 kilometers to the 5 I was familiar with. 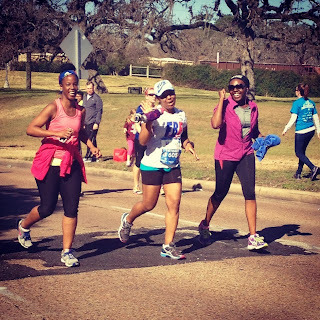 I had Faith that God was going to help me reach the dream of being a marathoner. Faith and Persistence are things you can't buy in the running store. You can't buy Confidence either. Every time someone reminds me of what I don't have (incredible speed, the latest gear, the practice of the latest cross training fad, etc) I remind myself of what I do have. You and I have all the motivation we need to finish the Marathon with confidence. We all have the discipline to get up, day after day and train. We all have the Persistence to get through difficult runs. We all have the Patience to trust the training and stick with the plan laid in front of us. I'm proof that the longer you stick with focusing on what you have, the easier the process will be. Comparison is lethal to marathon training. It takes away your peace and it paralyzes your ability to know how valuable you really are. My challenge is to focus on where I am today and press forward to my goal of running a strong Houston Marathon in January. I wonder if you too can change your perspective and focus on the Faith, Persistence, Patience, Confidence and Discipline you already have. Let me know if it works for you!